The Organic Research Centre is inviting UK farmers to participate in a new EU-funded project, DIVERSify, which is investigating how to maximise the performance of crop mixtures to improve yields while reducing reliance on inputs. With this in mind, a new EU-funded project called DIVERSify has been established to investigate the design of innovative mixtures of crop species to improve the performance of crop yields while reducing pest and disease damage. The project consortium of 23 EU and international partners is co-ordinated in the UK by the James Hutton Institute. Other UK partners are the Organic Research Centre (ORC) and Linking Environment and Farming (LEAF). 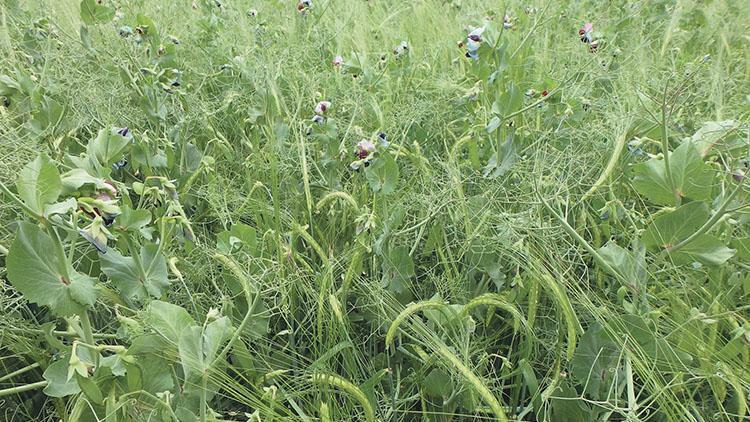 Intercropping is the concept of growing two or more crops together in the same space and time, such as growing a barley with a pea mixture or winter beans with wheat or undersowing a combinable crop with clover mixtures. These ‘plant teams’ can interact in a way that increases their fitness and yield and they become beneficial to each other rather than competing for resources, according to Dr Bruce-Pearce. Farmers taking part will be invited to trial their own mixtures and compare these to a nearby monoculture and submit basic crop performance data. Farmers participating in the project will be asked to devote a suggested minimum area of 2,000sq.m to the trial. This area could be a stand-alone plot or strip within an existing crop. However, it must be positioned near to an area of monoculture for comparison. Once the plots are established, the farmers will be able to work with a DIVERSify ‘science buddy’ to collect basic data. It is anticipated that farmers will receive funding up to €1,000 each, although applications for support above this figure are welcomed where they are justified, e.g. if both data collection and on-farm demonstration are offered, according to the Organic Research Centre.